My first full day in Beijing was jam packed. 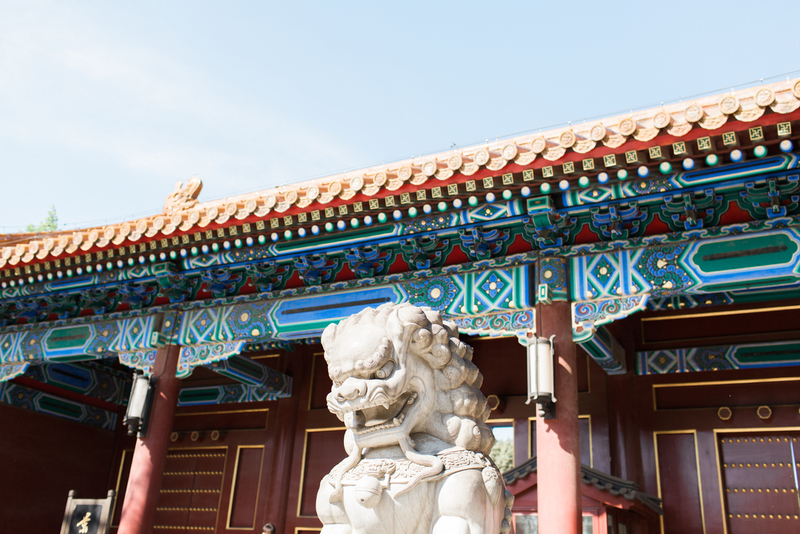 The first stop we made was Jingshan Park, which is also known as Coal Mountain Park. It's a local park where tons of the older generation hang out all day, although the morning is the best time to go. There are tons of activities and groups happening, and as it turns out, our visit coincided with the peony festival since they were blooming everywhere. There were singing groups, small bands playing music, people exercising and taking selfies (so many selfies), and best of all traditional dancing. The dancing went on for hours, non stop, and you'll notice in the pictures these were no spring chickens getting down. In fact, at one point the music stopped, and the old woman got very upset because "it was only 11:00!" Another reason people visit the park is because there's an incredible view from the top of the "mountain" (which is more like a hill really). We made our way up and took in the views of Beijing, including the Forbidden City, which is huge. It's neat to see it from the top, but I don't think pictures do its size justice. It's enormous. At the top I also made my first friend, a grandmother who was so excited to see a foreigner and grabbed me for multiple pictures. The real excitement though was that my friends brought their baby to the park with us, which caused actual crowds to form to admire him. But, there was also much scolding that the baby shouldn't be out in the wind, which is a serious concern to Chinese parents. My first observations of Beijing: there are people everywhere, and the selfie stick is under utilized in America.